When you are not slaloming, what other activity are you doing behind your boat? I wanted to add some more choices but I can't seem to edit my picks...sorry feel free to add surfing or other fun things. Where does a Sky Ski fit in? Ony other thing I do is surf and I do it because a) it doesn't take much energy after I've already skied and b) I can drink a beer while doing so. Didn't see tanning in there. I would also add tricking to the list but with one group I ski with, barefooting is the priority. My friends and I will do few NAKED barefoot runs granted its early enough in the morning(note this lake has houses all the way around it) Also wakesurfing if we have the right setup,kneeboarding, and wake skating. 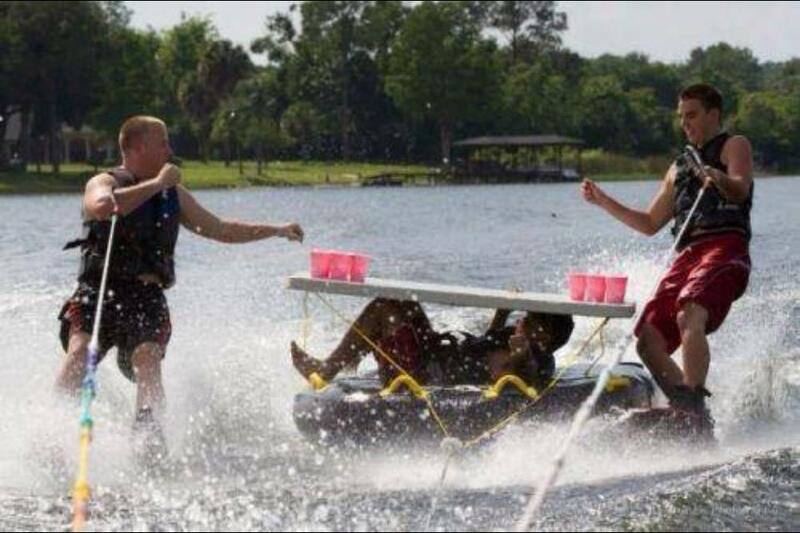 Oh and my friends and I will usually budy surf behind the boat if water is too rough. We like to get creative and try to ski on different objects. Can I just ski 24/7? ummm, not a good question for a "only pick one" poll. Especially one that didn't include wakeboarding or wakesurfing. The answer at our cottage is "all of the above". Almost more exciting than running 38........ watching my 2 and 4 year old children ski behind the boat on their ski trainers! I say almost...... but they ski like that more than I have run 38....... Family on the boat at the lake is where it is at, even better if it is on a private lake! Yeah family stuff and tricking. My 3 year boy just got up on the trainer and I was so proud of him that I have no shame in admitting I shed a tear... I have now created a bit of a skiing monster.. very cool. My kids have upgraded from the biscuit to trainer to the kneeboard. When skiing with the other 'crew' it's slalom then barefoot, nothing else. Skiing with family and just generally being a lake rat. @GOODESkier I also have a 2 and 4 year old who ski on trainers. What a thrill watching them try and enjoy new things. It is great to share your love of the sport with kids! I guess I am of the small crowd where you slalom and jump. Tricking for me is solely for the overall score, evening the playing field for skiers who have opposite talent in slalom and jump. I bet if I had patience (and more time), I would ride a trick ski more in practice. 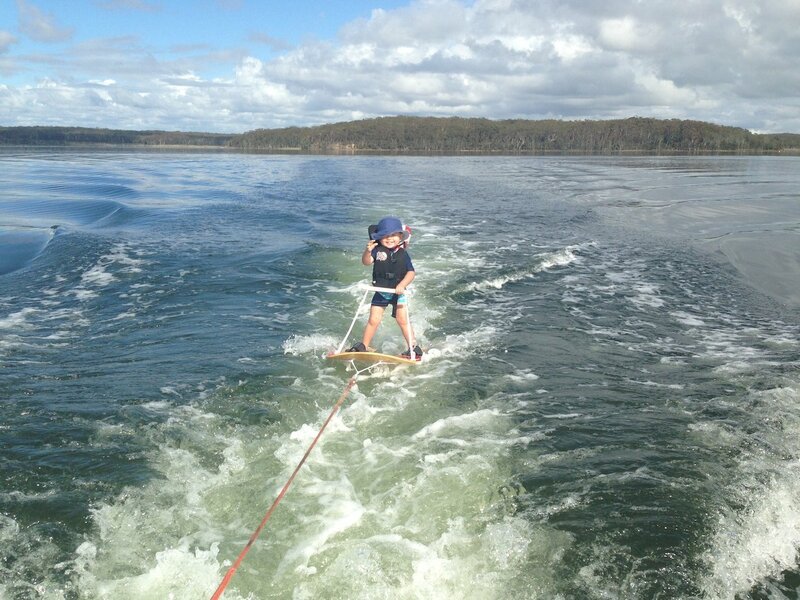 Is wakeboarding and wakesurfing so disgraceful that pulling a tube is more preferred by skiers? I voted ski with family even though I don't have a family because I refuse to vote for pulling toys...aka tubes. We have done everything with our boat except jumping and pulling those Demon Spawn inflatables. We will not own a tube. 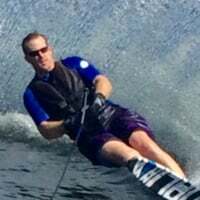 My wife is an avid barefooter, my oldest son (7) skis, and wake/kneeboards, my middle son (5 1/2) kneeboards and rides the skimmer (with skiing and wakeboarding to come this summer) and the youngest (4) will start skimming and kneeboarding (maybe more but we shall see) this summer. They all drag on the boom once my wife is done with her footin runs, and I have exhausted myself in the course. 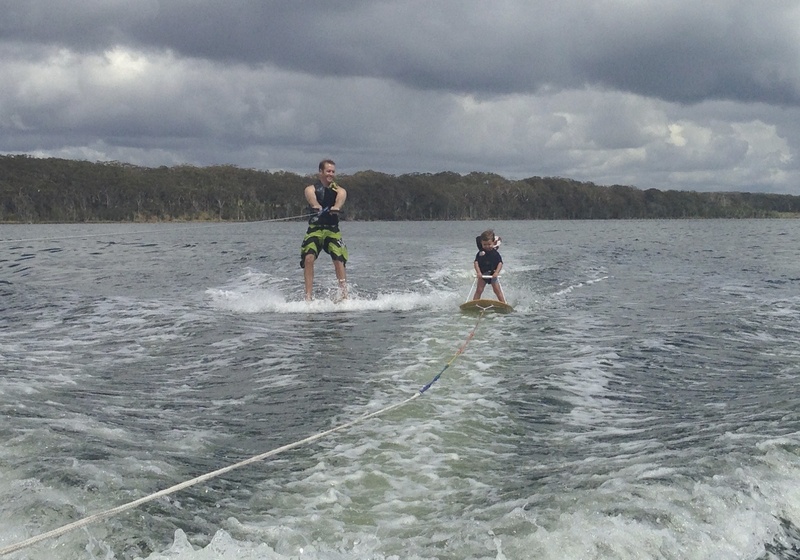 When my brother visits, he is the trick skier and I am one of the few people over the age of 15 who still kneeboards. I have found it far less abusive that wakeboarding. And like @TylerR we fish, just not from the Nautiques. Of course, my wife and I taking a booze cruise is high on the list. 2016 Ski Nautique 200 OB 2016 Radar Vapor 69.5"
I trick a little and I pull my kids and do pull a tube when we have company over. On my lake my kids will slalom, trick, wakeboard and wakeskate. Unless we have company the kids don't tube that much. We also spend some time floating around and swimming off the boat. We slalom, when we aren't slaloming we do other things. Jumping, (tricks are a waste of perfectly good boat gas), fishing while waiting the next set, possibly a little night surfing, after all that, BEER! An interesting thought on tubing: why not get a bunch of kneeboards? Drag the kids around on those. Go slow and they all can do it. If you have a skilled bunch of kids out there, go a bit faster and they can get up on knees and spray one another or do tricks. It is much safer than tubing, builds skills, can accommodate multiple skiers at once and the kids love it. Never had a kid not go on a kneeboard (out of maybe a hundred). All come in with a smile. My boat has never pulled a tube. We've pulled pretty much anything we could dig out of the garage or storage shed. The list is far too long, but includes a snow skis and a bobsled. That was before the days of having young, impressionable kids around. Now it's tubes, combos, barefooting, air chair, etc. I will admit I may try the bow cover of the new Prostar, should we find one of those in my brother's garage soon. Hydrofoiling. We always have one with us. cleaning - I wished I spend as much time skiing as I spend cleaning - I would probably be a good skier. @GOODSkier and @ozski are on the money... Get beside your little ones on the disc - it's even more memorable... this is my eldest at 2 years.